Ryan Coogler's Black Panther is now the third movie in history to cross the $700 million mark domestically. The film opened in February of this year without much competition and obliterated the box office, earning over $200 million and then taking in over $100 million in its second weekend. As for the worldwide totals, Black Panther has brought in more than $1.3 billion to date, making it the second highest grossing movie of the year, just behind Marvel Studios' Infinity War. Black Panther accomplished the $700 million milestone this weekend, earning $12,000 on Thursday and $16,000 on Friday, after making a fraction of that last weekend. However, Disney pushed the film into a few more theaters over the last few weeks to accomplish the feat without having to roll out a full re-release. Black Panther is a cultural phenomenon, which adds to its longevity in theaters. Most movies these days only last around three to four months in theaters before getting pulled when the digital and Blu-ray releases hit the market. Black Panther joins The Force Awakens at $936.7 million and Avatar at $760.5 million, not adjusted for inflation, in the over $700 million domestically club. If that wasn't enough, the film is also the highest grossing superhero movie of all time in North America. 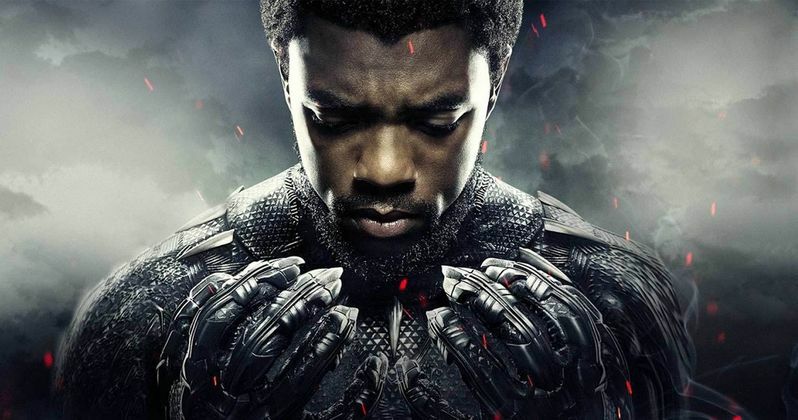 The Ryan Coogler-directed movie gained that status in March of this year, only weeks after it had opened in theaters, beating out the first Avengers movie. It should be noted that Infinity War is hot on the film's heels, currently sitting at $678 million domestically. If the film stays in theaters for the next few months, it could end up beating Black Panther. Worldwide, Black Panther is the ninth highest grossing movie of all time and Marvel's fourth highest at this time. The amazing success of the movie was a complete shock as it went on to demolish initial box office predictions and exceeded any expectations that Marvel and Disney had for the film. The Russo Brothers put a gamble on the movie after seeing rough cuts to inform Infinity War, believing that Wakanda was going to be a big hit with audiences. The directing duo were right as most of the action in the last Avengers installment takes place in Wakanda, which elicited cheers in theaters. It's not clear how big of a spot Wakanda will hold when Avengers 4 hits theaters next April, but there is plenty of explaining to do. While a Black Panther sequel is all but guaranteed at this point, there hasn't been a lot of talk about the subject as of late. Ryan Coogler and crew may be waiting for the dust to settle from Infinity War and Avengers 4 before anything is officially announced. It doesn't really seem to matter since the first installment is still in theaters and one of the biggest films of all time. You can read more about Black Panther joining the $700 million club at The Hollywood Reporter.